The best smelling laundry detergent is your challenge when you have kids. There are food and juice stains, a daily dose of dirt and much more. Sometimes it seems overwhelming just to check if your freshly washed clothes are also spotless. Then, there are towels, bed sheets, sports equipment and those textiles which need more attention. The best smelling laundry detergent which suits your entire family (even a sports enthusiast husband or a painter son) might be waiting for you in the shop. 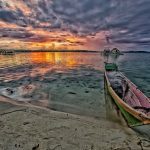 You just cannot find the time to search and discover its particularities. We have developed a detailed list of the best 5 smelling laundry detergent products available now in stores and online. These are the ones that help you protect your family from irritations while keeping their favorite clothes clean. The below products are versatile and suitable for all kinds of laundry, including sheets and towels. The best and most impressive smelling detergent is so ambitious that it promises up to 6 weeks of freshness. It is a pods-detergent with 50% more scent than its laundry-form product. We have chosen the Gain Flings! Detergent for it’s almost five-star rating on Amazon. Before purchasing, you should read more about how to combine this product for maximum effects. The pods dissolve in hot and cold water. Regular and high efficiency (HE) washing machines. The smell functions on the extend-a-scent principle and releases the smell throughout the day. There are price differences for this product between stores. However, you can search for discounts online and in shops. The detergent even cleans heavy duty soiled clothing. 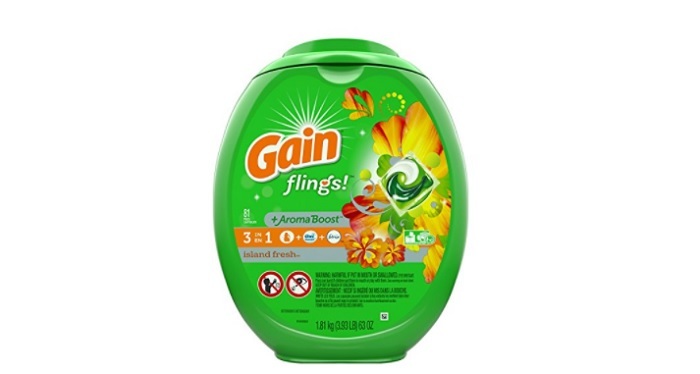 While the Original Gain product, the Island Fresh doesn’t develop allergies. This detergent and Tide Pods are the two American’s favorite laundry pods. You cannot go wrong with a classic product. 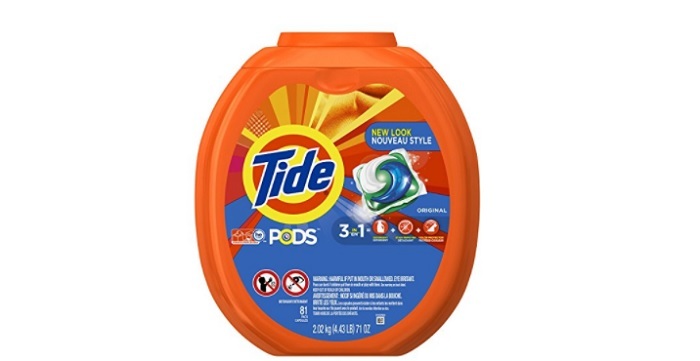 The 3-in-1 Tide Pods protect the laundry colors while successfully removing stains. The detergent cleans by getting inside the textiles and it is also highly concentrated. Its ingredients are innovatively separated, and they only mix during the wash. The pods are suitable for all clothes, washing cycles and temperatures. You should use a pac for small or medium loads, 2 for large loads and 3 pacs for extra-large/ heavy duty loads. The product is free from polymers, enzymes, and anionic and nonionic surfactants. The product comes in large packaging and is cheap in both online stores and regular shops. It cleans well and it’s easy to use for the entire family, as it doesn’t require measures. Sometimes you can find the pods packaging on clothes after you wash them. The pods are 6 times more efficient than regular liquid detergents. 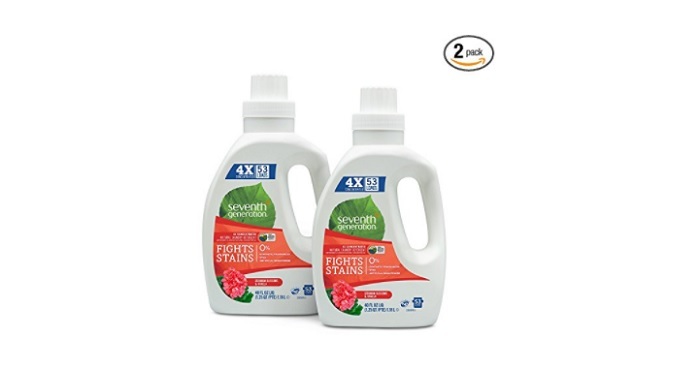 The 3-in-1 feature comes from detergent – stain remover – color protecting agent. It also cleans stains even in quick cycles. This environmentally friendly detergent is among the top favorites of moms. It gets tough stains cleaned and has hypoallergenic properties. You can use this on any products and enjoy its natural smell based on essential oils. The product doesn’t contain dyes, brighteners or synthetic fragrances. This is a reliable product which has a 4x concentration for higher efficiency. Smell: Geranium Blossoms and Vanilla. You will purchase two 40oz bottles for 106 standard loads. The detergent works based on a triple-enzyme formula which should clean all possible stains. You can clean tough stains in cold water, even if you have to use a larger detergent quantity. The product smell may be too intense for those with allergies. The product has a USDA certification for containing 96% plant-based ingredients. The 4.5-star product is naturally derived and manages to keep colors bright and shiny. Manufacturers have gone so far that even the bottle is made of 100% PCR (post-consumer recycled) materials. The detergent cleans stains and dirt from all clothing and laundry. Even if you don’t enjoy the sage scent, you can find ginger mango or lavender scents. It also promises brighter colors and whiter whites with just one-fourth of the amount you have to use with other leading brands of laundry detergent. 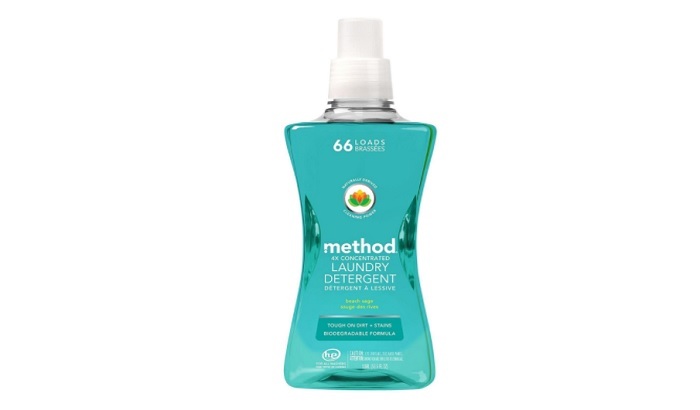 This bottle will get you 66 loads done By using a concentrated formula you use less detergent which means less waste and shipping of unnecessary water. We love the beach sage scent but this also comes in more familiar scents like lavender or a fruity ginger mango. Suitable for standard and HE machines in cold and hot water. One bottle is enough for 66 medium loads. You will use less detergent per loading due to its high concentration. The detergent cleans well and doesn’t provoke irritation to those with sensitive skin. Even though it’s a bit pricey, the product cleans very well adult and baby clothing. White colors remain as intense as the other ones. The liquid detergent is based on a biodegradable formula. Here is a detergent that works as an aromatherapy agent which contains 97% substances derived from plat extracts. The ingredients list also includes a few synthetic preservatives in a concentrated formula. However, it’s also free of ammonia, phosphates and chlorine-bleach. 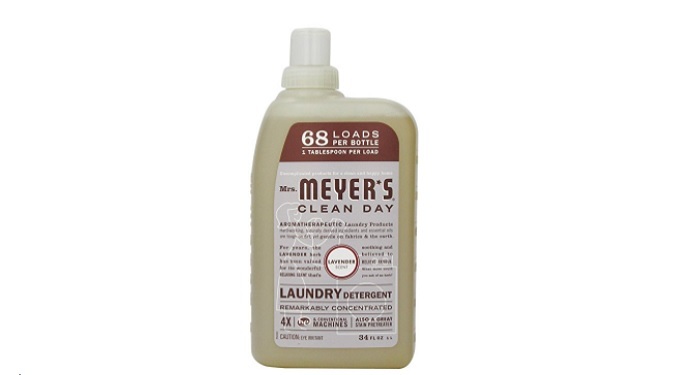 While it’s strong for cleaning laundry, the product is gentle on hands and delicate textiles. The product also works as a pre-treater and is suitable for regular and HE machines. It lasts up to 68 loads per bottle. You only need to use one tablespoon per load, thanks to the 4x concentration. Cleans clothing, towels and deeply soiled rags efficiently. The gentle lavender smell lasts for one day. The product is easy to use and is fabrics and environment-friendly. The lavender smell eliminates fatigue and induces relaxation. Americans spend $5.1 billions on laundry detergents every year, according to a study. Many of them are loyal to one brand which also includes fabric softening and pre-treating agents. The best smelling laundry detergent can also wipe out stains effectively from clothing, rags and towels. The 5 best smelling laundry detergent products have different scents. One of them could be appealing to you and your family and become the option you will take years from now. TRINITY EcoStorage™ 5-Tier Wire Shelving Rack, keeping my kitchen organized. TRINITY Sliding Pot Organizer, stop those pots and pans from falling out your cabinet! Previous ArticleHow Safe Is Your Family From Accidents, Mishaps, And Other Misfortunes?